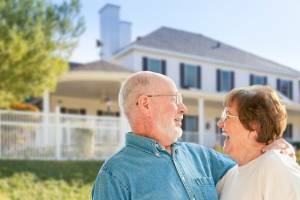 Should You Pay Off Your Mortgage When You Retire? A 30-year career, a paid-off mortgage, and a financially healthy retirement used to be staples of the American dream. But with Americans carrying more mortgage debt than ever now, it may not always be possible to pay off the house when you retire. This is particularly true if your plan is to take a lump sum disbursement from a retirement account in order to pay off the house. Here is a rundown of when eliminating that debt is still a good idea, and when it’s unfeasible or unwise. If the above provisions apply to you, it might not make sense to pay off your mortgage. In particular, withdrawing funds from your retirement policies means you lose principal that might be gaining interest at a higher rate than you’re paying on your mortgage at this point. There are no one-size-fits-all answers that work for everyone in retirement. Before making the decision to pay off your mortgage, sell the house, or refinance, talk to your financial advisor. He or she can help you analyze your budget and earnings, and make the decision that works best for you.